April 5, 2012 - Customs and Border Protection U.S. Border Patrol agents from the El Centro Sector disrupted two separate incidents in which individuals attempted to utilize two commuter aircraft as a means to smuggle illegal aliens out of the Imperial Valley on March 30. The Imperial Valley lies in California's Imperial County. It is located in southeastern Southern California, and is the site of a urban area largely centered around the city of El Centro. The Valley is bordered by the Colorado River to the east and, in part, the Salton Sea to the west. Farther west lies the San Diego and Imperial County border. To the north is the Inland Empire's Coachella Valley, which together form the Salton Trough, or the Cahuilla Basin, also the county line of Imperial and Riverside counties, and to the south the international boundary with the U.S. state of California and Baja California. Customs and Border Protection U.S. Border Patrol agents from the El Centro Sector seized this Beechcraft King Air commuter aircraft that was set to smuggle illegal aliens out of the Imperial Valley. The first incident occurred at approximately 5:00 p.m., when Border Patrol agents conducting anti-smuggling operations near the Imperial County Airport arrested six Mexican nationals illegally present in the United States as they attempted to board a commuter aircraft. Agents also arrested one female and one male, both Mexican nationals, suspected of transporting the individuals to the airport. A male United States citizen was identified and arrested as the pilot of the aircraft being used in the smuggling event. The second incident occurred at approximately 8:15 p.m., when Border Patrol agents encountered a second group of individuals boarding a different commuter aircraft. After a brief investigation by agents, it was determined that the pilot, a male United States citizen, was attempting to smuggle five Mexican nationals, also present in the country illegally. In total, 12 illegal aliens and four suspected smugglers were arrested. As a result of these incidents three vehicles and two aircraft were seized for involvement in criminal activity. All four suspected smugglers are being held pending prosecution under alien smuggling charges. 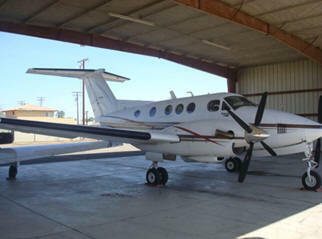 A total of five aircraft have been seized by the El Centro Sector Border Patrol since fiscal year 2010.